assistance of the on-site safety officer to manage appointments. on-site health screening as part of your Health & Safety program. ...to minimize disruption dedicated to promoting better health among construction workers. We offer free on-site health screening at selected workplaces throughout Ireland. Screening will be carried out on lung functionality, diabetes, cholesterol and checking your BMI. Screening will take place between 9AM and 4.30PM. CHECK BACK WITH US ON A REGULAR BASIS TO FIND OUT WHERE WE WILL BE NEXT. 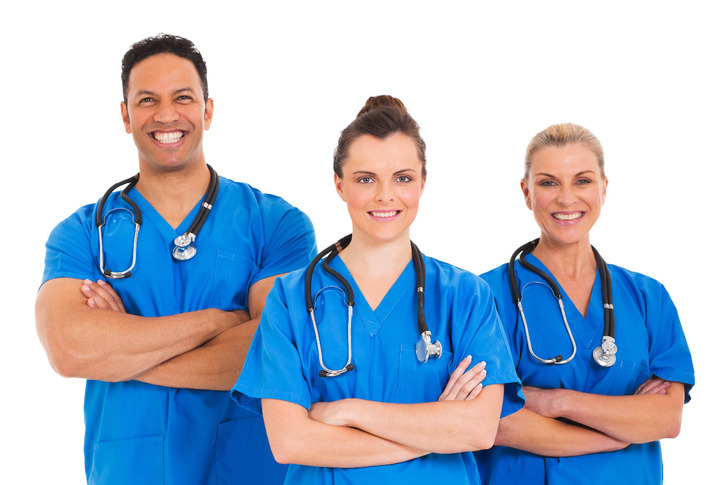 We offer free on-site health screening at selected workplaces throughout Ireland. 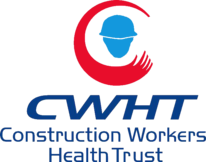 The CWHT is dedicated to the promotion of better health and lifestyles among construction workers. 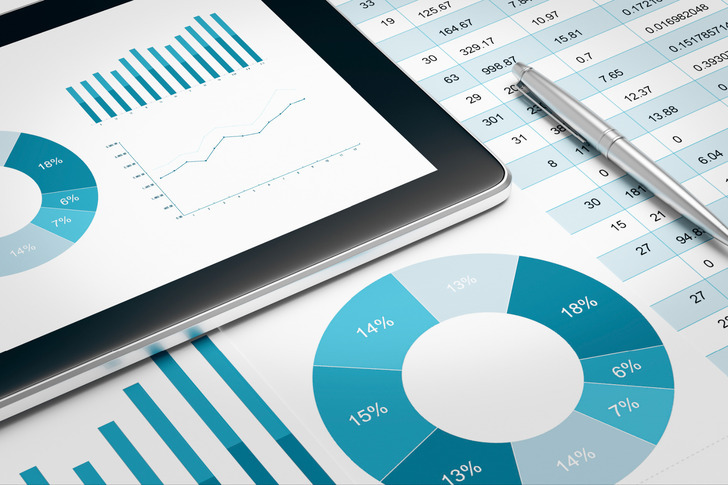 We work closely with universities, medical professionals and researchers to investigate many conditions. The Construction Workers Health Trust was founded in 1994 by the Construction Group of unions affiliated to the Irish Congress of Trade Unions. The Trust is dedicated solely to the promotion of better health and lifestyles among construction workers. The Trust is funded by a small levy, paid by workers who are members of the Construction Workers Pension Fund. The Trust operates as a stand alone unit with its own board of Trustees, its own Chief Executive Officer and its own full time, and part time staff. PROVIDING FREE HEALTH SCREENING TO BUILDING WORKERS ON SITE. CONDUCTING RESEARCH INTO CONDITIONS AFFECTING THE HEALTH OF BUILDING WORKERS. RUNNING OCCASIONAL CAMPAIGNS OF TESTING FOR CONDITIONS SUCH AS PROSTATE CANCER, COLON CANCER AND DIABETES. GIVING SUPPORT, FINANCIAL OR OTHERWISE, TO OTHER NATIONAL ORGANIZATIONS ENGAGED IN THE TREATMENT OF, OR RESEARCH INTO, SERIOUS ILLNESS. 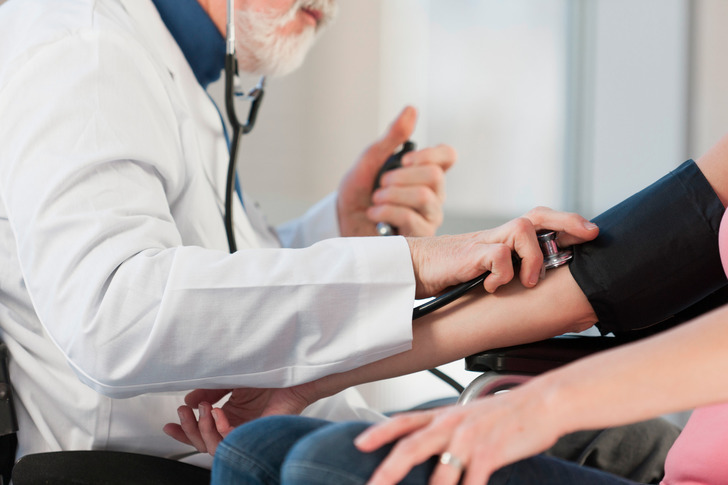 Health screening from Commercial providers can cost up to €195 for the tests which we use. 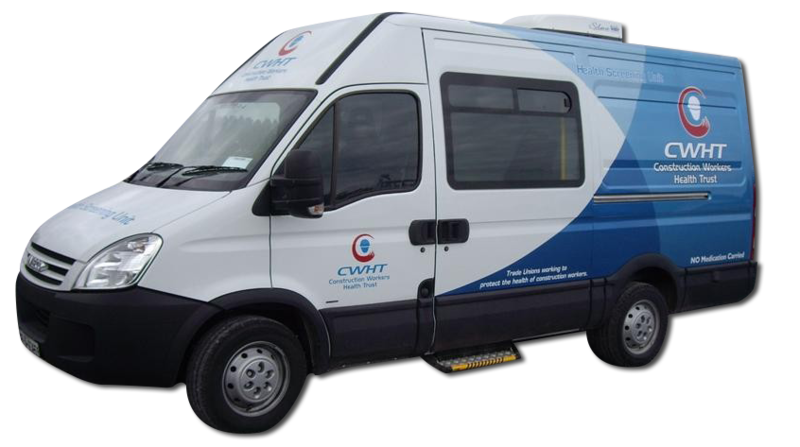 Our services are delivered on site or at your workplace at no direct charge to either the worker or the employer. Our income comes from building workers who are members of the Construction Workers Pension Scheme, some of whom make a weekly contribution of 1euro per week to fund our services. The Trust is a registered charity and a non profit organisation. for updates and newsletters. CWHT will not use your contact details for anything other than keeping you informed of our activities. By registering with us you will be added to our mailing list for regular updates (approx monthly) on health matters relating to construction.